The Tapping Solution. Tapping into Power. Thousands in Jordan march. Why no Western outrage over American and British beheadings? Undo inner blocks with tapping. The Tapping Solution. Tapping into Power. over American and British beheadings? Undo inner blocks with tapping. So many inner blocks against natural outrage, against natural courage. Despite the tidal wave of world events, so many people live their everyday lives, unconcerned. Even those of us who are doing our best for freedom and safety, while living in relative safety - often we feel powerless. Compare this to the Jordanian response to their pilot being burned alive. 'Death to ISIS': Thousands of Jordanians march through the streets of Amman, calling on the king to exact revenge on Islamic State for burning alive pilot Mouath al-Kasaesbeh. A call from those marching: "We are all Mouath. We are all Jordan." Where was the outrage in the West over the beheading of American journalists James Foley and Steven Sotloff, and soon after, of British aid workers David Haines Alan Henning? Why no 'We are all James Foley'? There was horror. I did not hear outrage. How to access more of that moral outrage, courage, solidarity on the behalf of freedom? There's also a FREE annual Tapping Summit - a huge online event. Amazing people. Excellent information. Lots of tapping exercises. I've listened for about 5 years now. I really appreciate it. For people new to tapping, it gives you an idea of the scope of tapping, which can be helpful for stress, pain, weight, phobias, depression - in other words, for many of the ways that people get stuck. This year's event starts Feb 23. 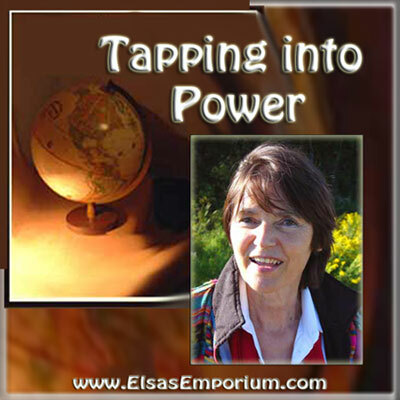 And click here for a video on using tapping to release stress. It gives you a chance to try the technique, plus there's a lot of information on brain wiring, and how easy it is to get "negative wiring". What's the use of any of this, many of you will go: the problem is Ughbama and the sheeple. Unfortunately we can't tap on the inner blocks of the sheeple. But perhaps we can access more of our own power, perhaps we can become better at reaching others. Some events are large enough to break through the inner blocks of millions - like the massacre of the Charlie Hebdo cartoonists sparked the eruption of outrage and courage of millions of French citizens. With tapping, one by one, we access more of our inner fire.